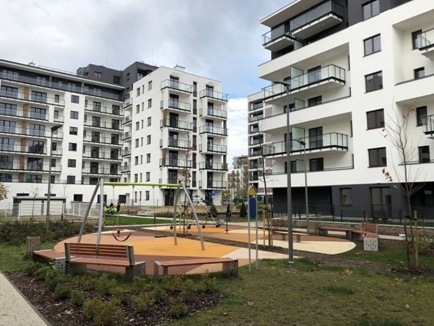 The project by NEXITY Company located on Warsaw’s Wola district at Jana Kazimierza Street has been one of the biggest housing projects served so far by BatiPlus Company. On the area of over 2 hectares, 8 residential buildings were constructed in four stages, with total number of over 540 apartments. The project also included realization of the greenery areas, playgrounds and walking footpaths.